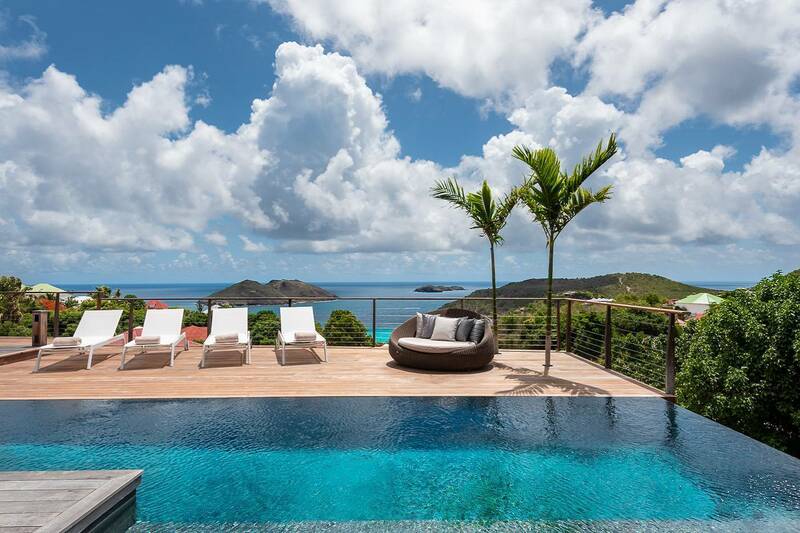 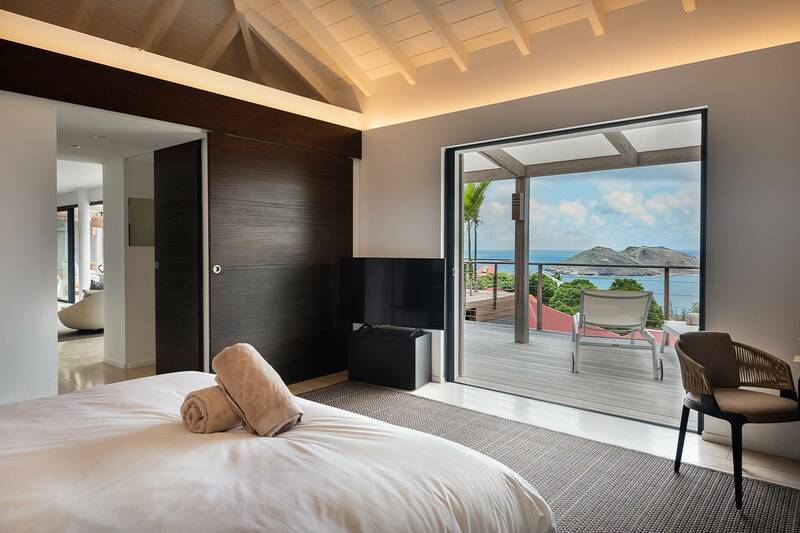 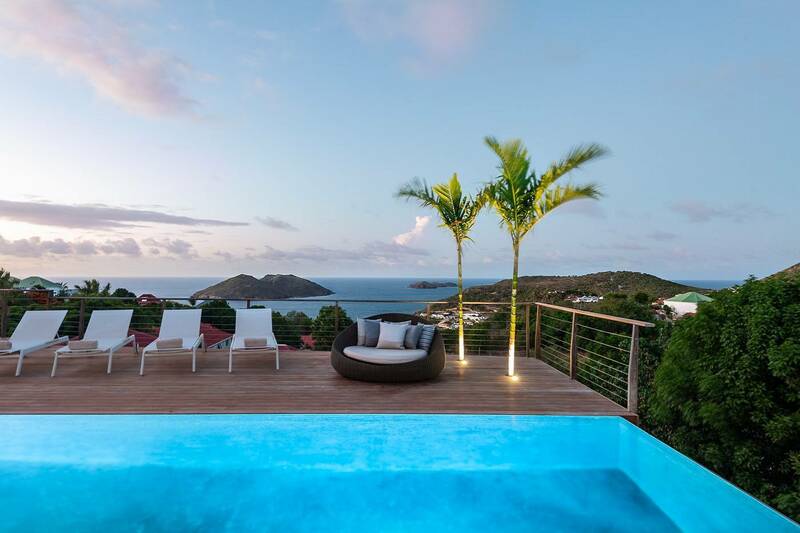 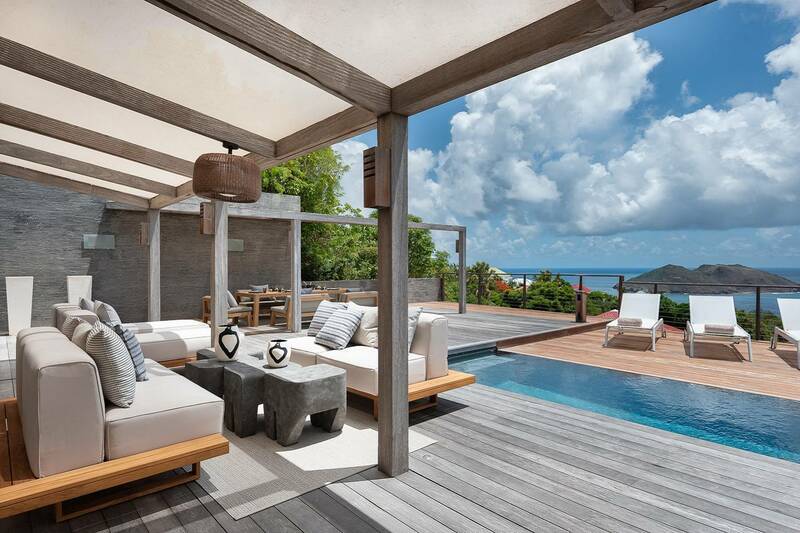 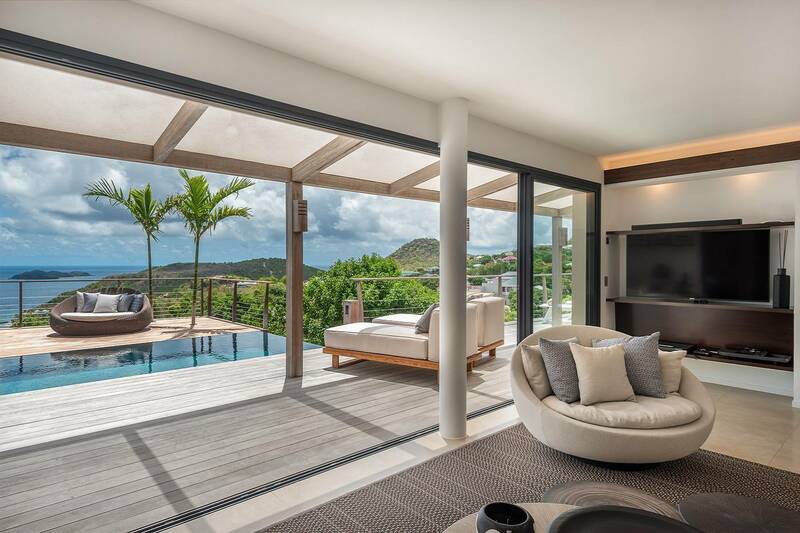 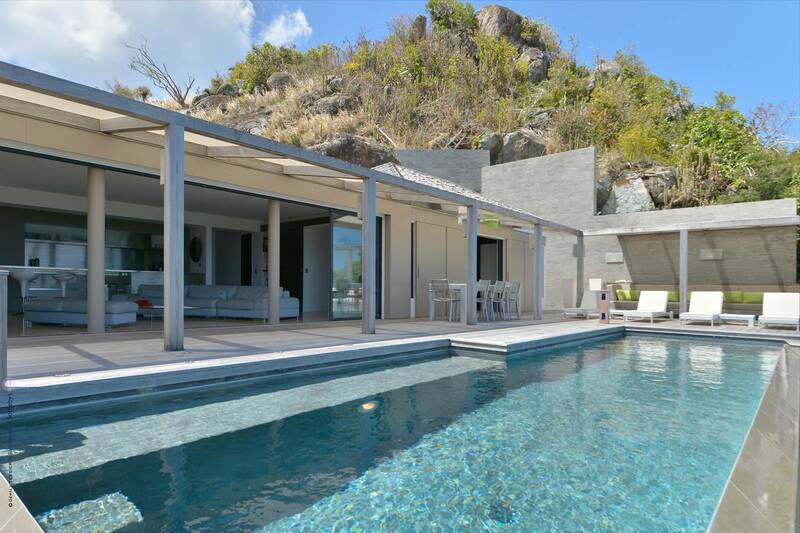 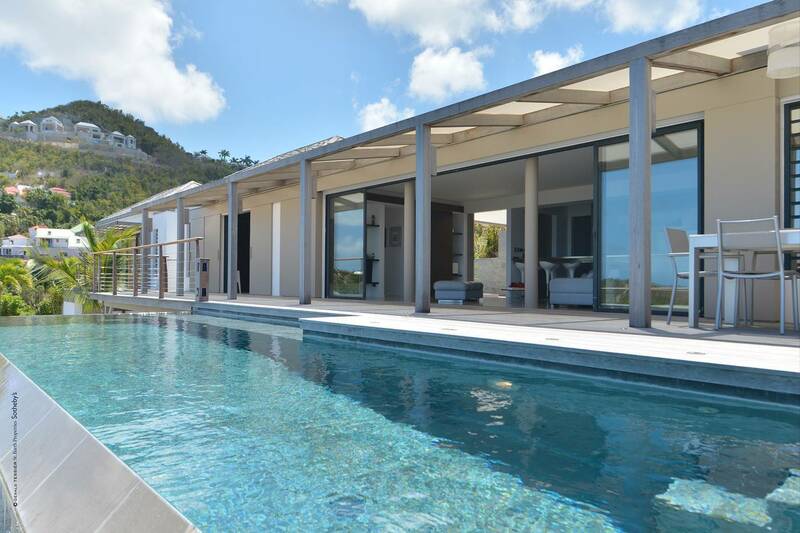 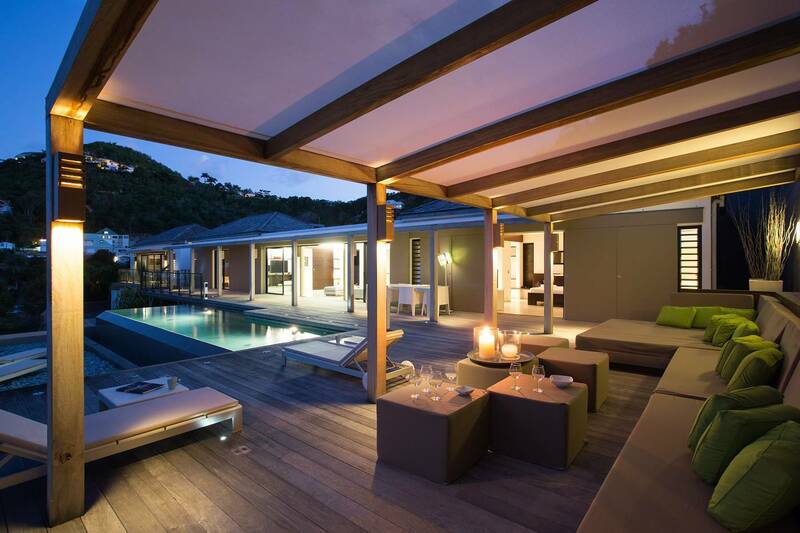 Nicely situated not far from Flamands, St. Jean and Gustavia, this luxurious three bedroom villa is chic and contemporary in design and décor. 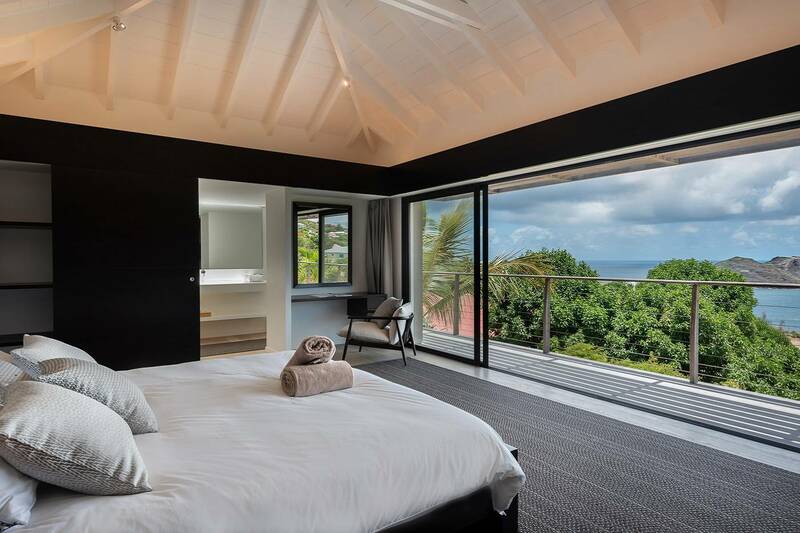 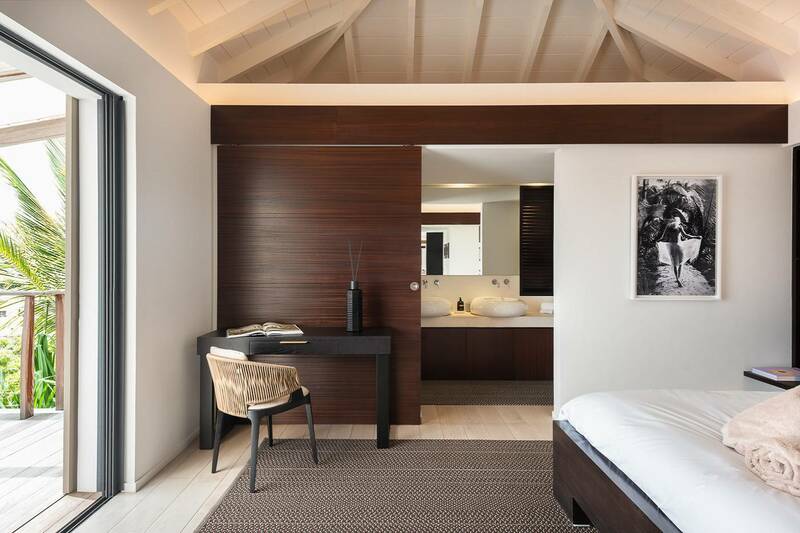 Its hillside location treats guests to a magical view of the sea and the small neighboring islands Bonhomme and Frégate. 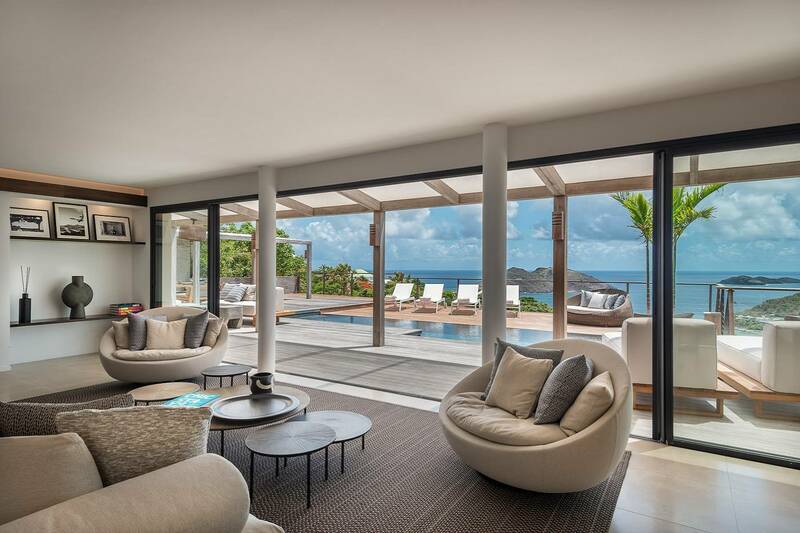 A bar with seating divides the sleek stainless kitchen from a spacious living room; this area includes a guest bath. 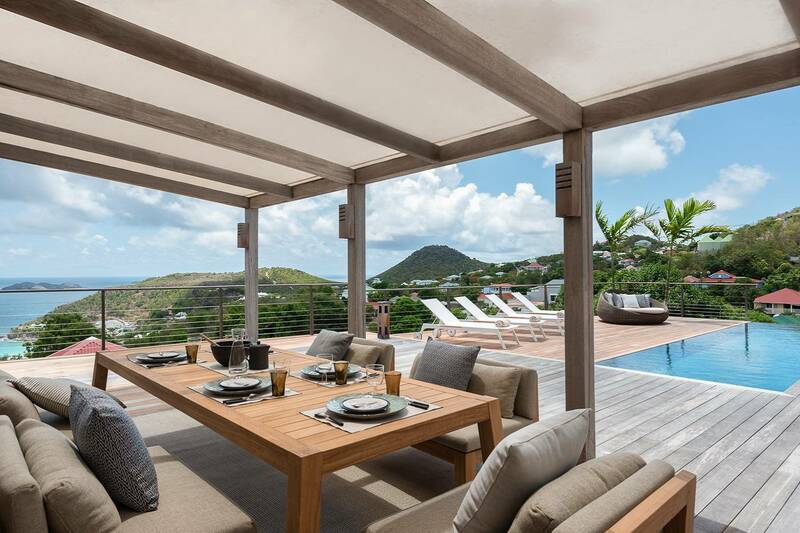 The interior opens to a deck with a wealth of outdoor living space. 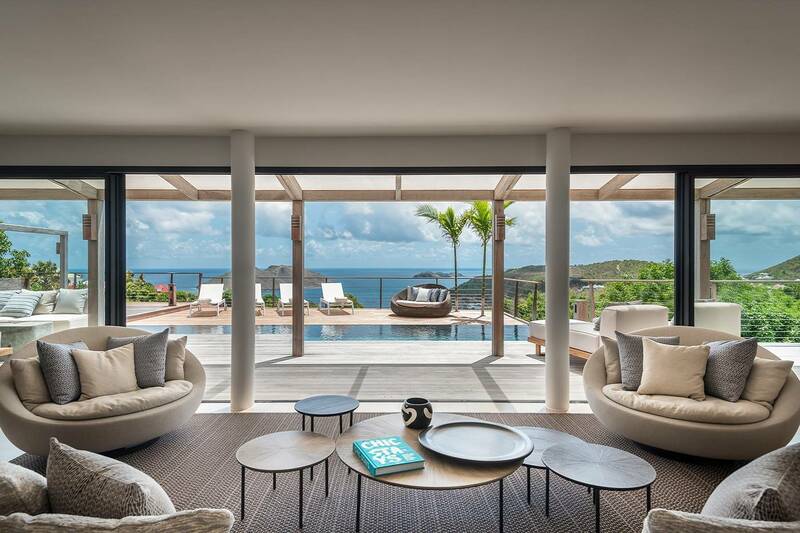 Its focal point is an elegant, elongated infinity pool with chaises positioned for sunning and a modern-take on a gazebo at its end for shade-seekers. 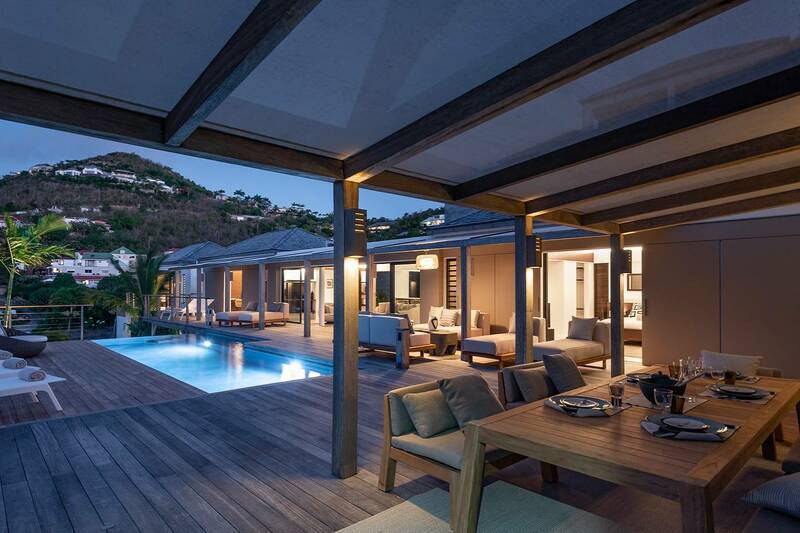 A covered poolside dining area makes al fresco meals delightful. 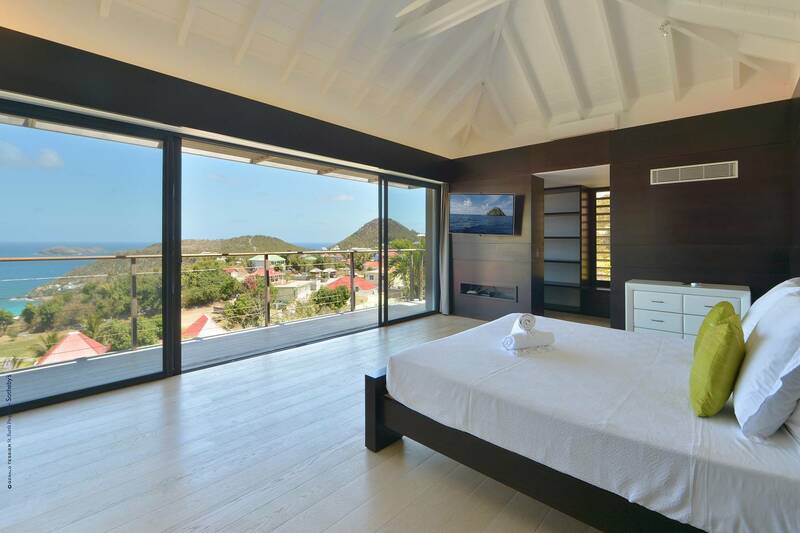 Two equally sized (king) bedrooms are on either side of the living room with access to the deck via sliders. 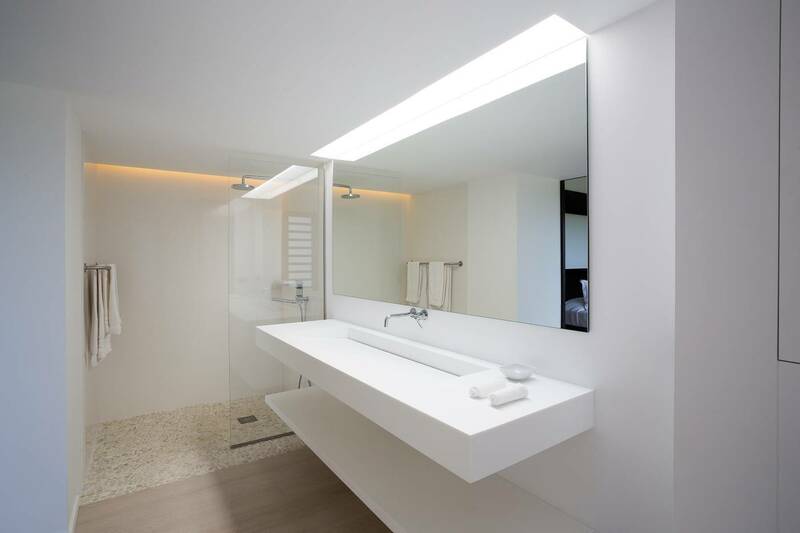 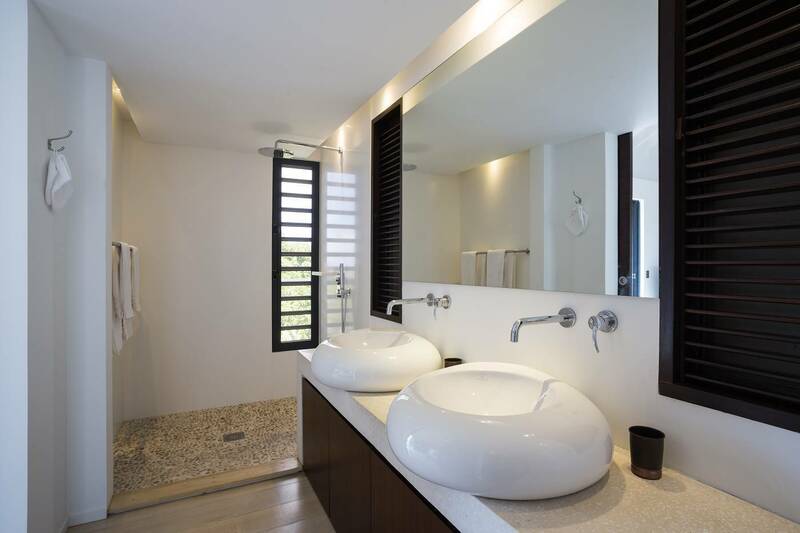 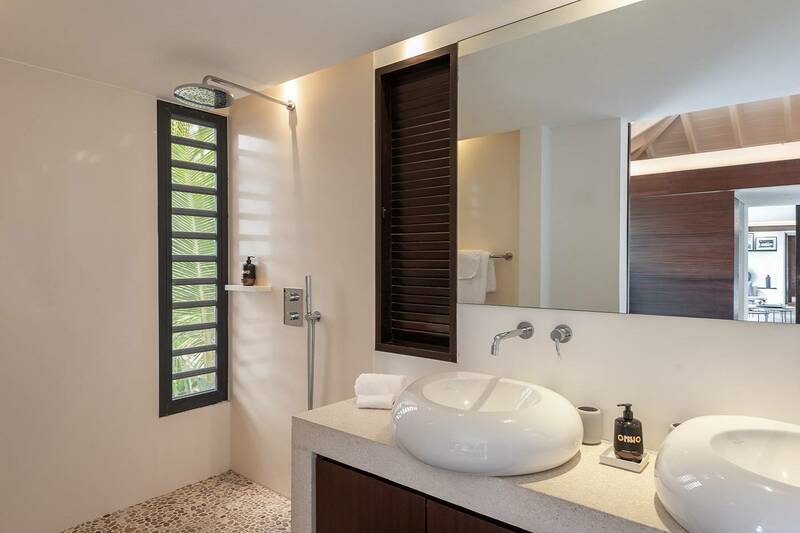 Both have stylish en suite baths and showers with a view. 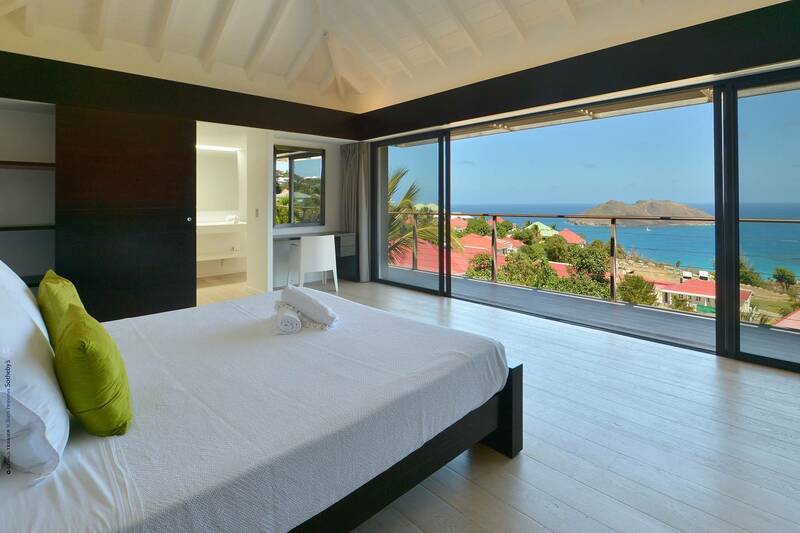 The third en suite bedroom (king) is located off the sundeck. 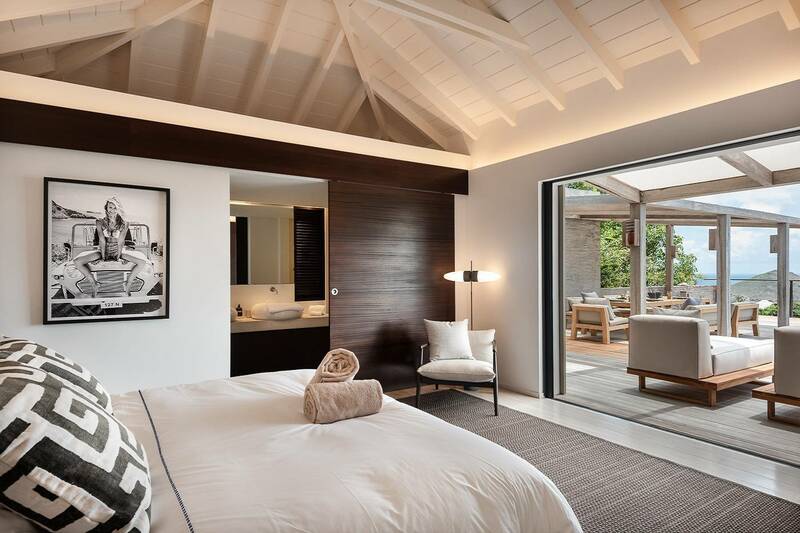 Cool and contemporary in design and décor – and luxurious throughout. 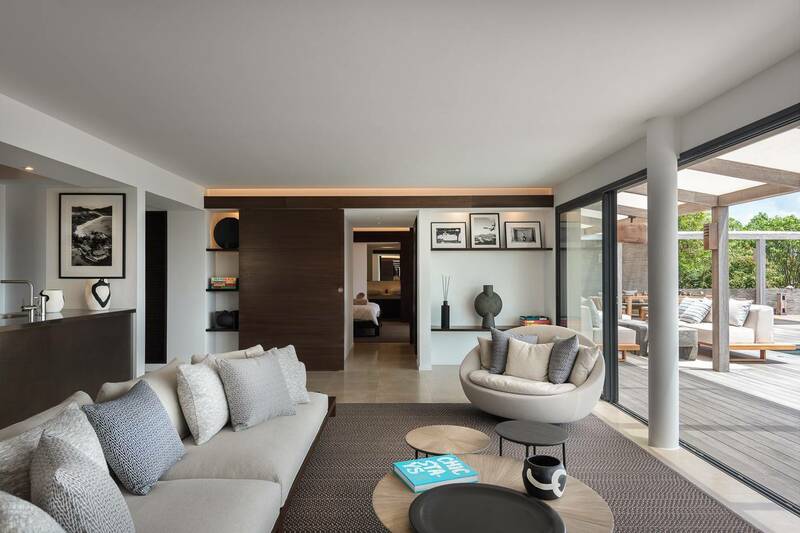 A spacious living room; bedrooms have chic en suite baths.